The chancellor, Philip Hammond presented his 2018 Budget on 29 October 2018. These are highlights of his live speech. Personal allowances cut from 2019. Restrictions to CGT Entrepreneurs' Relief, Private Residence Relief, R & D relief. Annual Investment allowance increased. Our full coverage, in a more user-friendly order (for tax advisers and their clients) will appear shortly in our Budget 2018 Summary. Eight straight years of economic growth, wages growing, income inequality lower than under last government. We are in a pivotal moment of EU negotiations. We are confident... but not complacent. £2.2 million allocated to Brexit. Fiscal forecast: deficit falling, government borrowing falling. 1.3% of GDP by 2021. National debt peaked in 2016 and is now falling. In his own words "Fical Phil says Fiscal Rules OK!" Brexit deal dividend expected to provide further spending. NHS: A ten year plan for the NHS together with the increased funding already announced. NHS: A new mental health crisis service with a mental health hotline. Social care: further grant funding for local authorities in England additional funding for children in care in 20 counties. Defence: An additional £1.1milion to boost cyber, submarines and increase sea deterrents. Counter terrorism: An additional £1.61million in police funding. £10m donation to Armed Forces Trust to assist mentally ill war veterans. Detailed numbers to be left to the Budget Red Book and left out of the speech. Private Finance Initiatives (PFI): to be abolished for future projects. A Centre of Excellence to be set up to manage existing PFI contracts. Start up loan funding for new businesses to be extended. VAT registration limits unchanged for two years, changes are pending Brexit. IR35, offpayroll rules: applied to private sector organisations from April 2020. Only applied to large and medium sized business. Digital Services Tax: a global agreement is the solution, but negotiations are low. The UK will in the meantime introduced a new narrowly targeted tax aimed at established tech giants. Not an online sales tax, only paid by profitable companies generating revenues of more than £500m worldwide. This will be replacecd once there is a global agreeement in place. Further measures to clamp down on tax avoidance and evasion. 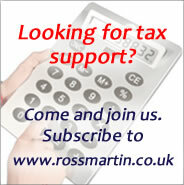 HMRC to become a preferred creditor in insolvency. Crackdown on insurance companies setting up overseas companies to avoid tax. Both indexed for inflation in following years. New import duty tax on the import of packaging with a low recycling content, dates tbc. No new levy on disposable coffee cups: situation to be monitored. Beer and cider, and spirits duty frozen. White cider taxed at a new rate. The High Streets: £600m fund for councils to facilitate adaption of High Streets into residential. Business rate relief, next valuation in 2021 to change based on market value. Businesses with a rateable value of £51k or less, will be cut by 1/3 over two years. A new business rates relief for public lavatories, whether publicly or privately owned. More funds for shared housing ownership partnerships. Simplification of rules for transfering commercial properties into residential. Land banks: a report by Oliver Letwin says that Big developers are not banking land. Further announcements to follow. More funds for Northern Powerhouse and Midlands, and increasing transforming cities funds. Universal credit: £1billion additional funding, working allowances increased by £1,000 per year. National Living Wage rate to increase to £8.21 from April.